Only 2708 in stock. Additional quantities will deliver at a later date. This pizza screen consistently creates crispy crust baked to perfection. 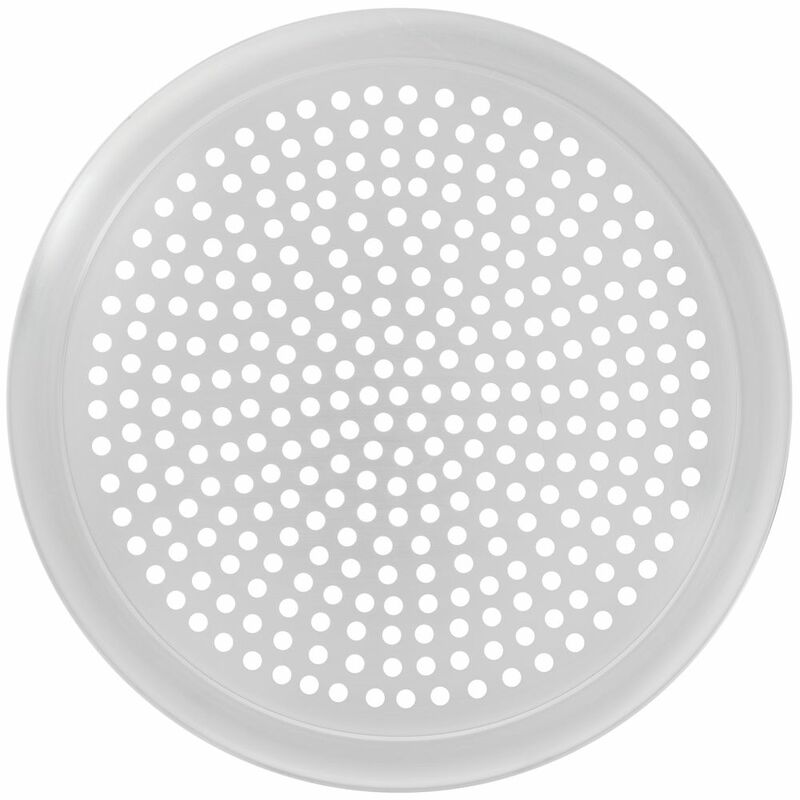 The screen's perforated design allows hot hair to circulate for even baking. 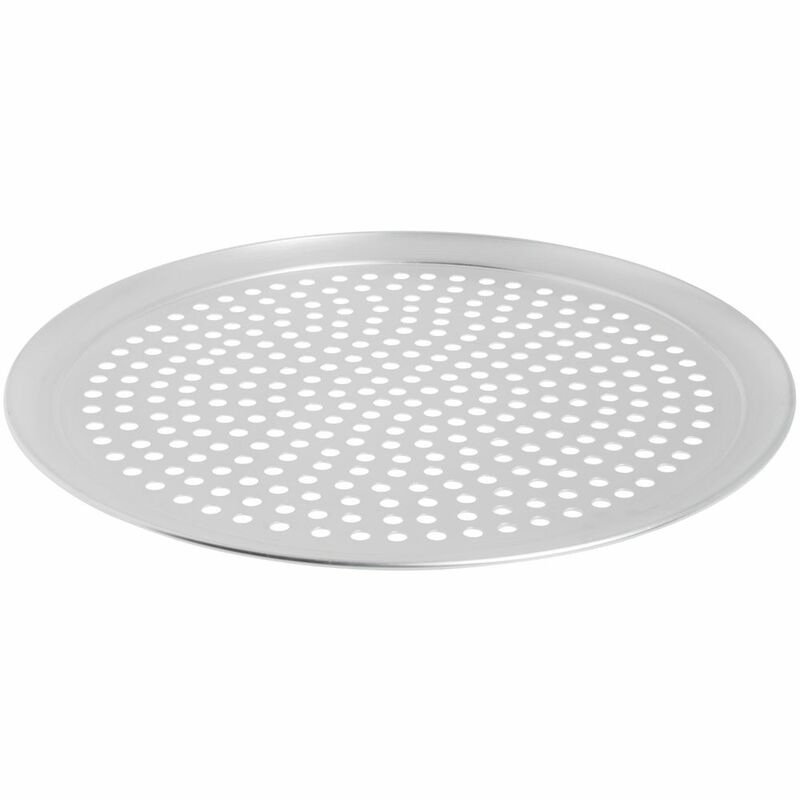 The pizza screen features a sanitary open rim that cleans easily for increased food safety. The aluminum build creates stability and strength that lasts significantly longer than traditional screens. Use this oven mitt to protect your hands when handling hot pans in a commercial kitchen. The thick terry cloth outer shell offers durability and is comfortable to wear. The oven mitt has a non-woven fabric lining and a cotton/polyester/viscose filling that is heat resistant up to 600°F. 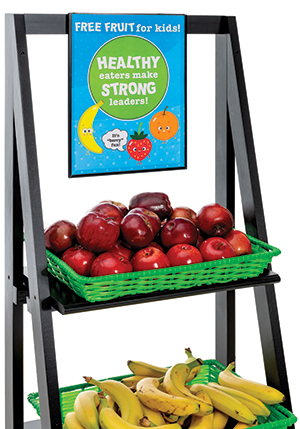 Plus, the attached hanging loop provides quick, convenient storage.